Author: Suu Kyi, Aung San Set In . . . 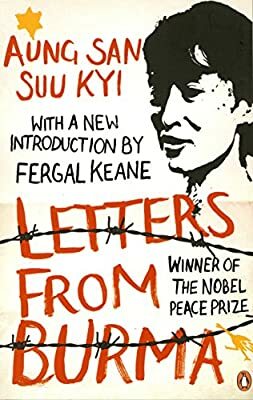 Description: Letters from Burma - an unforgettable collection from the Nobel Peace prize winner Aung San Suu Kyi In these astonishing letters, Aung San Suu Kyi reaches out beyond Burma's borders to paint for her readers a vivid and poignant picture of her native land. Here she celebrates the courageous army officers, academics, actors and everyday people who have supported the National League for Democracy, often at great risk to their own lives. She reveals the impact of political decisions on the people of Burma, from the terrible cost to the children of imprisoned dissidents - allowed to see their parents for only fifteen minutes every fortnight - to the effect of inflation on the national diet and of state repression on traditions of hospitality. She also evokes the beauty of the country's seasons and scenery, customs and festivities that remain so close to her heart. Through these remarkable letters, the reader catches a glimpse of exactly what is at stake as Suu Kyi fights on for freedom in Burma, and of the love for her homeland that sustains her non-violent battle. Includes an introduction from Fergal Keane 'Aung San Suu Kyi has become a global symbol of peaceful resistance, courage and apparently endless endurance' Guardian 'A real hero in an age of phony phone-in celebrity, which hands out that title freely to the most spoiled and underqualified' Bono, Time Aung San Suu Kyi is the leader of Burma's National League for Democracy. She was placed under house arrest in Rangoon in 1989, where she remained for almost 15 of the 21 years until her release in 2010, becoming one of the world's most prominent political prisoners. She is also the author of the collection of writings Freedom from Fear.